The other day I was lucky enough to have a chat with Simone Bellon, the developer of Pizza Express. 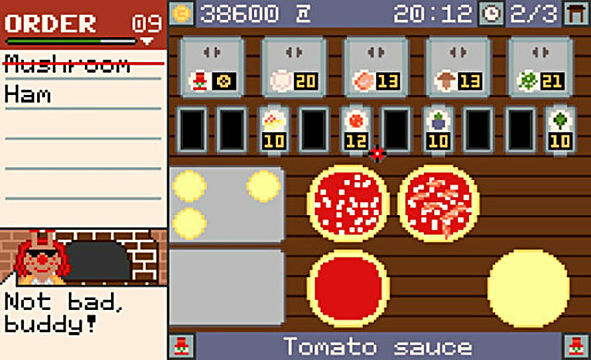 If you've never heard of Pizza Express, it is an extremely in-depth simulation game that puts players in control of their very own pizza parlor. 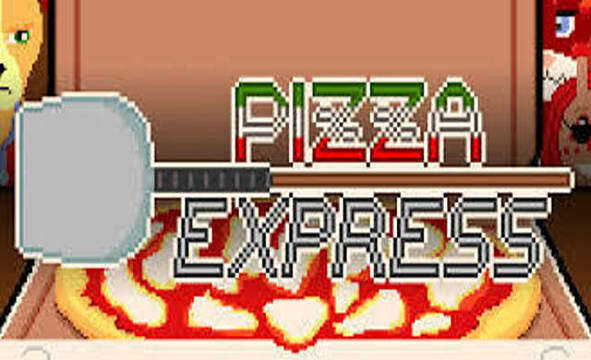 Pizza Express has been praised for its customization options, charming characters, and catchy retro music. Simone developed Pizza Express by himself, and I was very excited to be able to talk a little bit more about his lovely game, and how it came about! GS: So you developed this game by yourself. That's extremely impressive. Can you talk a little bit about yourself? Simone Bellon: Of course, I can – hello everybody! My name is Simone and, despite my rather feminine-sounding name, I’m a 21-year- old Italian guy. My father made the very silly mistake of putting me in front of a computer at the tender age of 3, and so my passion for video games began with Colin McRae Rally (and to this day, racing is still my go-to genre). I had always wondered how video games were made (as a little kid, I thought they were a bunch of drawings which worked thanks to some kind of odd wizardry!) and I’ve always loved to entertain people in smart, unexpected ways. So, one day, I stumbled across GameMaker 4 and started learning the basics of game programming. Yep, I’m self-taught! And that probably explains why my code, most of the times, looks like absolute chaos… But hey, as far as I know, many other programmers are in my same shoes, so I don’t have to necessarily feel *too* bad about it! Pizza Express is my first serious take on game programming; it’s not my very first game per se, but it definitely is the first one I spent a lot of time and effort on. I’d love to eventually turn my passion into an actual work, although the steps to get there are still many. I still consider myself as a beginner developer and I’m always eager to learn new stuff. GS: What inspired you to make Pizza Express? SB: The need to have something to do! I started working on Pizza Express during my gap year in Finland -- and up there in the Great North, I only had a small and outdated notebook to work with. Serious gaming was pretty much impossible and for a gamer like me, this was kind of a big deal! So I decided to get things done by myself, and started working on what I had initially thought of as a very simple, yet still fun and challenging, ability game, with the sole aim of serving pizzas as fast and as precisely as possible. Then, once I started seeing how well things were coming up, I decided to slowly expand my project into something bigger; I added a basic storyline at first, but this is where I noticed the game would have become extremely repetitive if I didn’t include something else to spice things up. I shifted my focus on customization and, lastly, I expanded the storyline in order to have multiple paths and endings. 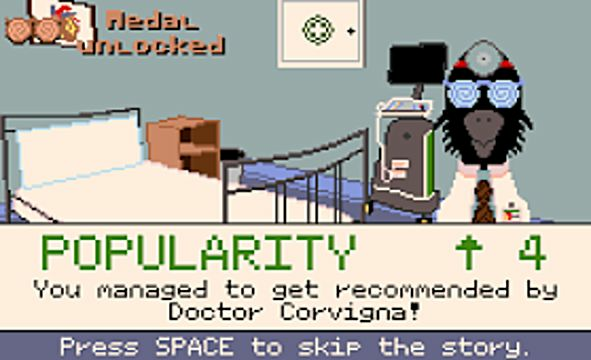 Of course, I played similar games before starting working on Pizza Express and, although I enjoyed many, I still found them a little bit too superficial. Many people have been comparing my title with Pizza Tycoon (or Pizza Connection, for your German readers), to the point of calling Pizza Express a spiritual sequel to the 1994 title by Software 2000, although, funnily enough, I had never heard of Pizza Tycoon before releasing my own game! It’s quite interesting to see how, sometimes, different minds think alike…! 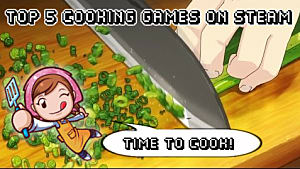 GS: Did you do much research about operating a pizza restaurant before you made the game? SB: Not really, to be honest! But of course, living in Italy, I’ve seen how pizzerias operate in order to get the most customers. For instance, there’s a pizza place not too far from home which always offers a small gadget at the end of your meal or, if you order to-go, a can of soda for every pie. Customer service surely plays an important role in the restaurant business! But so does the quality of the ingredients – my absolute favorite restaurant, which specializes in authentic, Neapolitan-style pizza, only uses San Marzano tomatoes and buffalo mozzarella for its edible masterpieces. Of course. it costs more than the previously mentioned, gadget-dispensing eatery, yet both are always full of happy customers, because (I believe) they’ve found that sweet spot between quality, customer service and price. So, no, I didn’t do much research about operating a restaurant, but I’ve surely eaten a lot of pizzas to (more or less) know how things go (and I like to think myself as a good observer, too)! GS: Pizza Express has been praised for the amount of customization. How long did it take before you were satisfied with all of the pizza possibilities, furniture options, etc? SB: Probably a few months. I wanted to make the player feel in absolute control over their restaurant, in every little detail. I actually had even more ambitious plans regarding restaurant customization, but…They just were too ambitious for a beginner developer like me! So, I decided to focus on the things which were already looking to be the strong points of the game; I tried to make the ingredient selection as “international” as possible (I’ve been given so many bad looks from fellow Italians, after they discovered pineapple was in the game!) as well as giving the player (almost) absolute freedom over their pizzeria. I love when games offer me lots of customization, as I feel more attached to the character/environment/whatever I created, and I wanted to give everybody the same opportunity in Pizza Express. 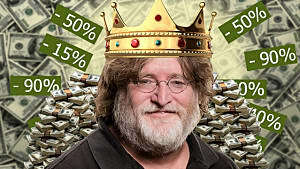 GS: Other strong points of the game that often gets mentioned are the characters, story, and writing. Was it hard to manage all of the factors that come with making these aspects of the game wonderful while still worrying about the rest of it? Sometimes it was, but for the most time, things ran pretty smoothly! I developed the story day by day, so, except in a few cases, I didn’t know myself what was coming next! However, I knew I wanted to make it really quite unpredictable, so I added a bunch of choices throughout the game which can dramatically affect the final outcome and the story in-between as well. Regarding the characters, I’m very happy that a good number of people fell in love with them! The design for most of them actually comes from my childhood plush toys, obviously revised and anthropomorphized, whereas their (caricatured) personalities are inspired by friends and parts of myself that I can never really express (for instance, I feel very much like Gastone, but I’d love to be as lively and unpredictable as Lucky is, or classy and smart as Mr. De Cavidi!). GS: Where did you get all of the awesome 8-bit music from? SB: On the Internet! Pizza Express was born as a “budgetless game” (meaning I had close to no money to invest on artists/composers/etc. ), so I was very, very fortunate to find the works of some amazing artists on the Web, free to use for all purposes. I personally really love the music by Rocco “RoccoW” Wouters and Rolemusic. Other artists include Matthew “TeknoAXE” Huffaker, Chud011, Erik Skiff and l0new0lf, and I can’t thank them enough for their unselfishness. If you are in need for some music for your project, definitely look for their works! GS: What's the craziest pie you've ever made in Pizza Express and did you try to make a real life version as well? SB: That’s a tough one to answer! I made so many monstrosities for testing purposes, I’m afraid I’m unable to pick a craziest one! I have to say, however, that I’m quite a traditionalist; I’m alright with most vegetables and meats, but please, no fruit on my pie! Pineapple on pizza still haunts me to this very day (apologies to everybody who loves the tropical fruit on their ‘zza! )… Maybe one day I’ll find the guts to make a homemade sweet corn and prosciutto pizza. That sounds crazy, but probably (and hopefully) delicious! GS: Can you talk a little bit about M.O.L.E and how it came to be? M.O.L.E. is a small game I developed for the 1-bit jam on itch.io. What is the 1-bit jam, you may ask? It was a very simple and interesting concept – develop a game in one single bit, meaning only one color on screen at the time (for a max of two colors, in total) and two monotone sounds at most. The rest is forbidden; no sprites, no text, no nothing. I decided to go the hard route and make a sort of action/stealth/puzzle game, where the player impersonates the newbie Agent 610 (a mole) on a series of missions to save platypus-kind from the evil rats (I think I just won the award for most ridiculous storyline, here). Of course, moles are known for their awful sense of sight, so the player has to navigate mazes and avoid hazards by relying on their radio only – the M.O.L.E. (acronym for Mercenaries Operating Ludicrously Effortlessly) headquarters communicate with Agent 610 in Morse code, and it’s up to the player to decipher the messages and track their (and the others’) way to safety. It’s not the easiest of games to pick up ad play – in fact, it’s probably of the less intuitive ones! – but I believe it can provide a nice challenge. GS: Are you currently working on any other projects? Yes, I am! After Pizza Express, I would love to create something I’ve always wanted to do – a racing game (I’m a sucker for racing games, remember!). I’ve started to gather some ideas and program something, although everything still is in an extremely early phase. I occasionally post some pictures on my Twitter account (@OnniInteractive) for those interested in seeing how things progress. 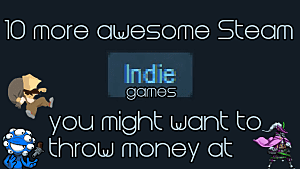 If everything goes according to plan, we might see another game by yours truly coming in a not too distant future! Needless to say, I’m the first to be excited for it, although I’ll have to work (really) hard if I want to see it become a reality. Wish me luck! If you're into simulation games you should definitely check out Pizza Express. It is available for just 6.99 on Steam right now, so if you think you have what it takes to run the best pizza parlor in town then you should give it a shot!